One of a knitter's favorite things to do is create something with sumptuous texture, and the tuck stitch, a simple technique that adds surface design to a knitted garment, is the ultimate way to do just that. 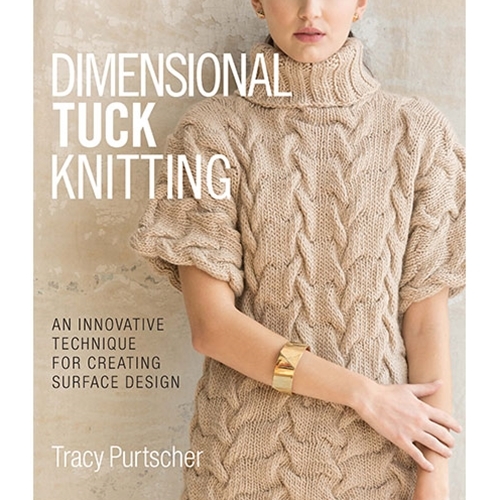 Tracy Purtscher has explored and perfected this technique in her exciting new book, Dimensional Tuck Knitting. In it, knitters will learn the basics of the tuck stitch and just how easy, versatile, and fun it is. This collection of more than 85 patterns and 10 projects pushes the boundaries of what the tuck stitch can do, offering unique textures that have never been seen before. Purtscher's visionary treatments create faux cables, ropes, leaves, shells, and many other vibrant three-dimensional patterns. Perfect for any gauge of yarn, the tuck stitch is exceptionally versatile and well suited for any project. A stitch dictionary, tips, and step-by- step technique instructions are all included, making this the ultimate authority on the amazing tuck stitch.